Explore also Noosa, Rainbow Beach, Double Island Point and Cooloola National Park with a Pelican4WD hire vehicle from Pelican Bookings. Between Noosa and Rainbow Beach furthermore lies the southern section of the Great Sandy National Park (Cooloola National Park). It includes the Coloured Sands and Double Island Point, and spans some 50km of pristine beaches, sand dunes and untouched hinterland. Also there are great camping spots near the beach, along the Freshwater track or the upper reaches of the Noosa river. Since 2002 Pelican 4×4 hire’s vehicles have explore all these beautiful site with our customers another 4×4 adventure. 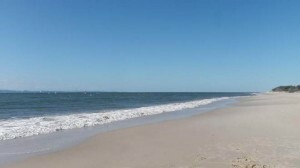 Popular also with day trippers, the southern end of the Cooloola National park takes in Noosa north shore and the Cooloola sand blow. First of all great fishing , long beautiful beaches and high sand dunes also awaits you. At the right times of year you can see flocks of migratory birds. You can access the southern end of the Cooloola National Park by taking a ferry across the Noosa river at Tewantin. 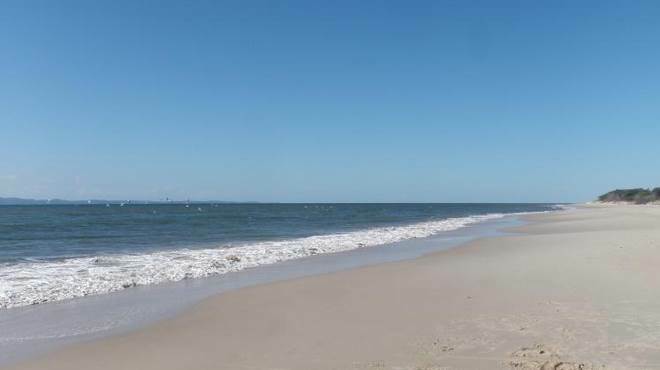 Press here for a detailed recreational map of Noosa north shore. You can also tour the world renowned Coloured Sands and picturesque Double Island Point south of Rainbow Beach. Another access to the Coloured Sands is along the beach providing there is sufficient sand and tide conditions are right so due to weather conditions make sure that you look at the tide tables because the water levels change every 6 hours. Double Island Point is great for surfing, fishing, diving and whale watching. It can also be accessed by the Freshwater track, near Rainbow Beach, or by Noosa north shore. Press here for a detailed recreational map of Double Island Point. The upper reaches of the unspoilted Noosa river include the Noosa Everglades, Harry’s hut and many secluded camping spots. You will see wildflowers, woodlands, forests and the mirror-like river. Access to the upper reaches of the Noosa river is only at Harry Hut. Take the the Cooloola Way which stretches from the Rainbow Beach Rd in the north to Kin Kin (near Noosa) in the south, and turn off onto the road to Harry’s Hut. Press here for a detailed recreational map of Cooloola National Park.